The pool enclosure glimmering in your back yard is the flagship of your property, the focal point of balmy summer afternoons and lazy Sunday barbecues. Now that you’re looking to sell your home, you’ll need to show that value to prospective buyers. Although you know what it takes to keep the pool pristine, many prospective home buyers don’t have experience with owning a pool. Luckily, buyers can be helped to understand everything that goes into having this great addition to a home. Furthermore, with a pool enclosure, they can rest easy knowing that maintenance will be that much easier throughout the year compared to a pool that is exposed to the elements. The Association of Pool and Spa Professionals indicates that the number of new inground pools in the U.S. continues to increase, and 5,139,990 homes had an in-ground swimming pool as of 2015, meaning there is absolutely a market for the aquatic buyers. So how do you tap into this market? 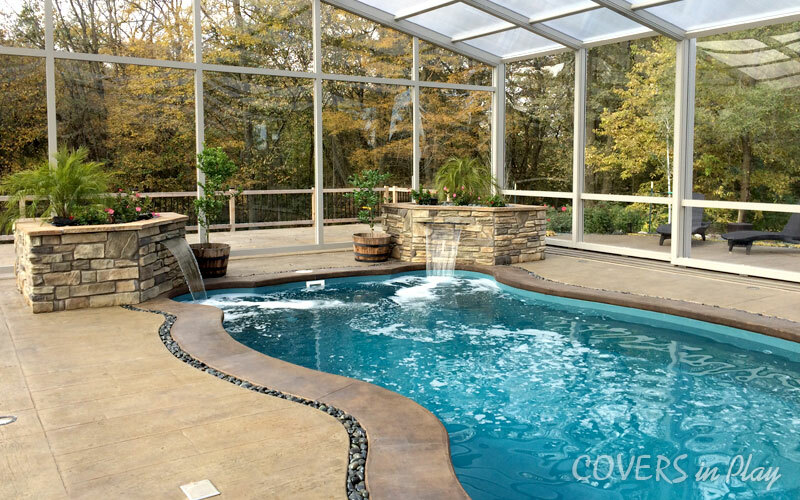 Here are some tips for selling a home with a pool enclosure so that you attract the largest number of bidders possible without breaking the bank in preparation. As a seller, you should have a plan in place for pulling prospective buyers in. All of the equipment, pool, and deck should shine. Replace caulking, grout, and worn or destroyed pool parts. Reduce debris and make sure your back yard’s landscaping looks inviting.In other words, make the space look picture perfect as you will want to be taking many pictures for your real estate agent’s marketing and listing pages. Does a ladder look damaged, dinged, or does it simply lack luster? If so, replace it. Stainless steel options are affordable. Likewise, replace any torn, broken, or disheveled parts, such as vinyl liners, pool cleaners, telescoping pool poles, and pump motors. Prospective buyers will learn about these items during a pool inspection, so you may as well handle it well in advance. Offer a pool binder with clearly organized information detailing everything about the maintenance and servicing of your pool. Have all of the instructions typed up with exact details about how the pool and its enclosure operates. Include information about any renovations or replacement work done, servicing completed, and types of chemicals used. Keep in mind that the average buyer’s biggest concerns revolve around maintenance and safety. Helping them understand how everything works can show them just how easy it. Covers In Play, Swimming Pool Enclosures. permalink.